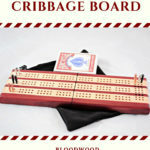 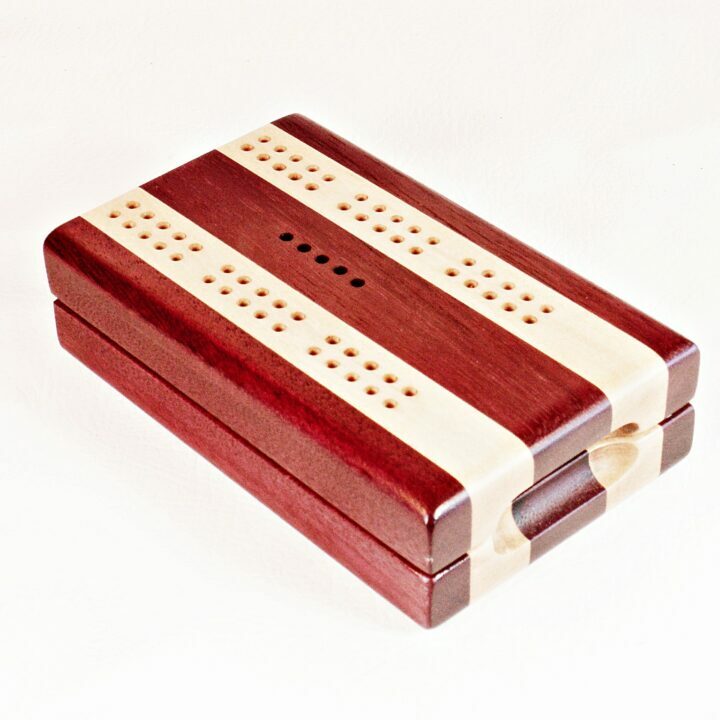 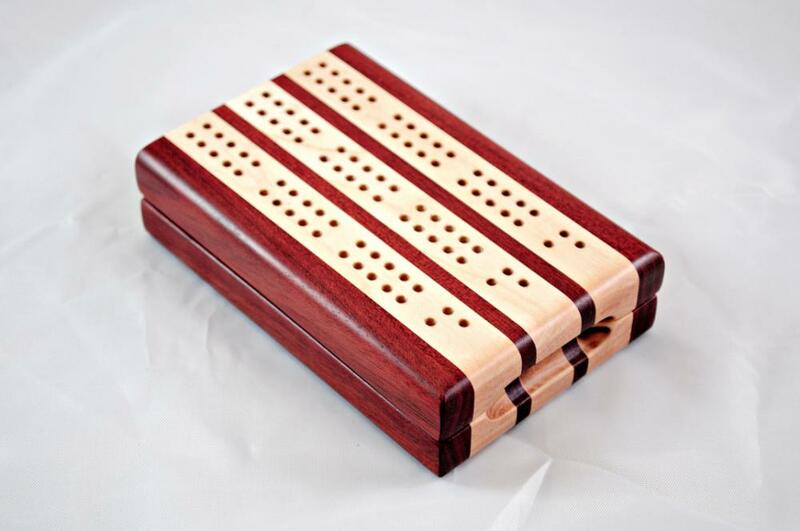 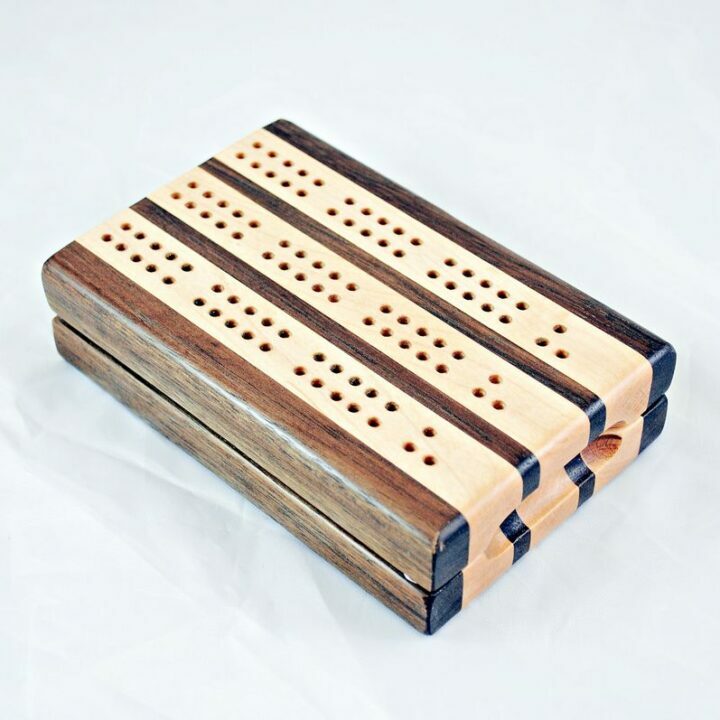 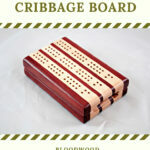 The 3 Track Compact Travel Cribbage set is great for RV’s, auto glove boxes, or as your everyday standard cribbage board. 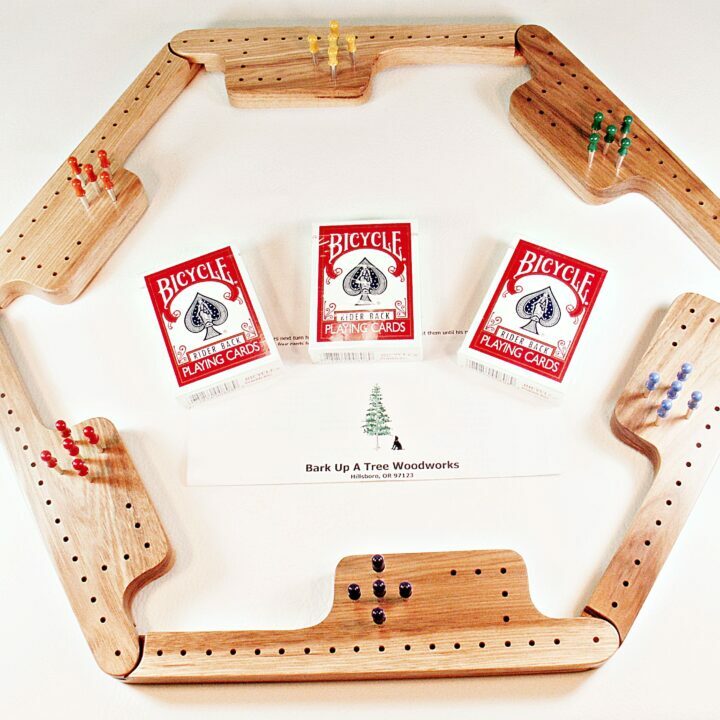 All of the pieces to play a game are together in one place to play anytime you want. 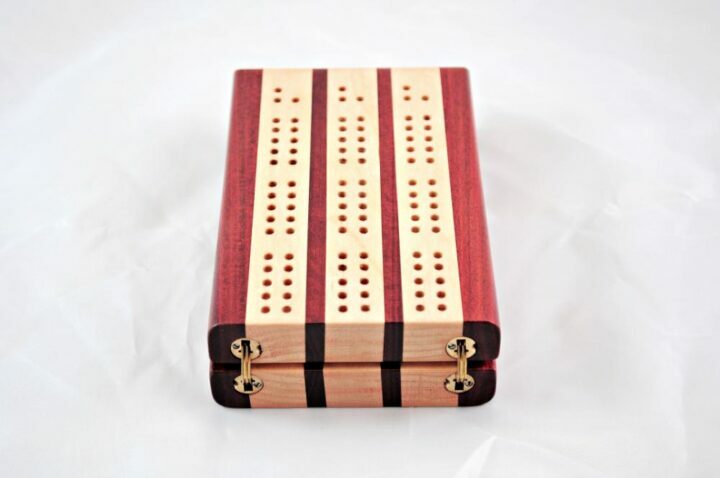 The game board forms a box to keep the pegs and deck of cards in one place. 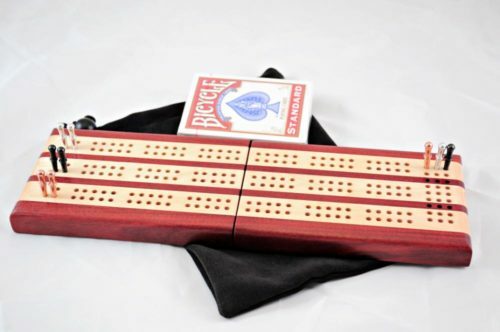 The hinges are solid brass barrel hinges, so they are invisible when the board is open for play. 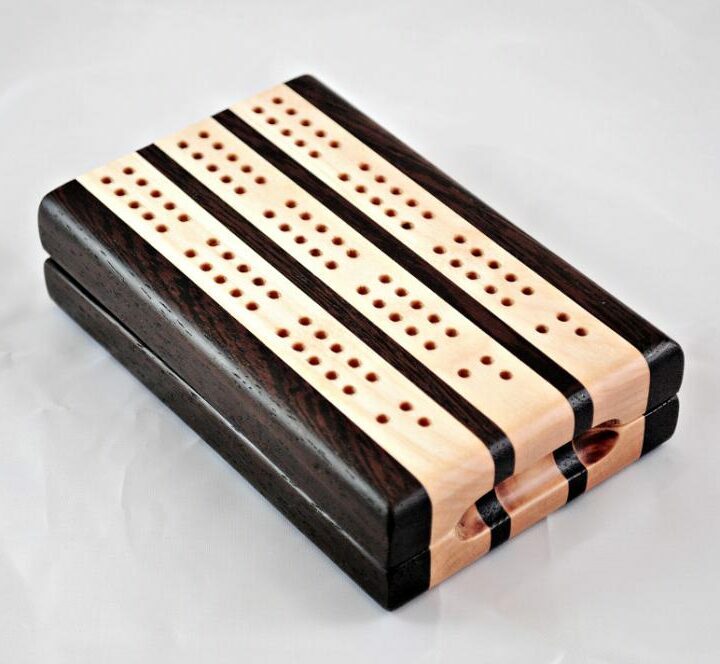 The board halves forming the box are held closed by 2 rare earth magnets. 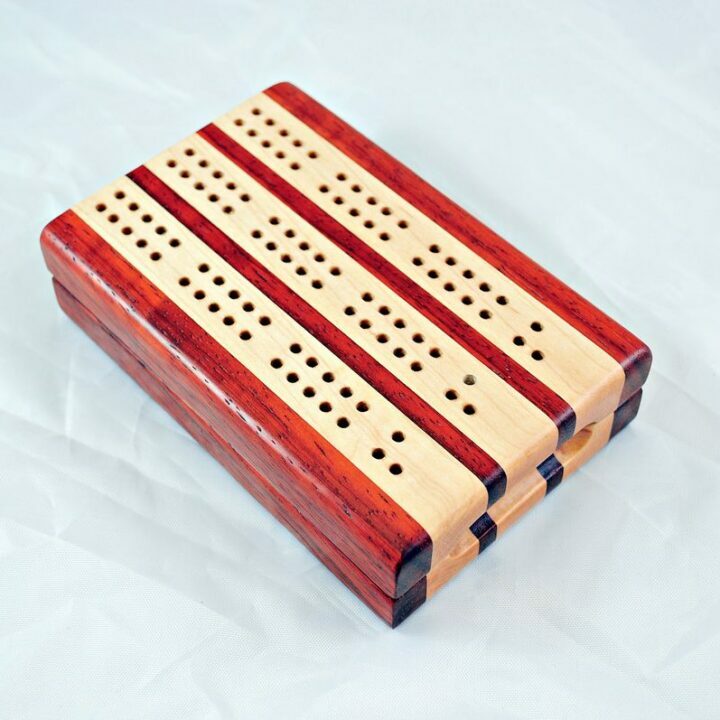 The board is finished with 4 coats of tung oil for beautiful luster. 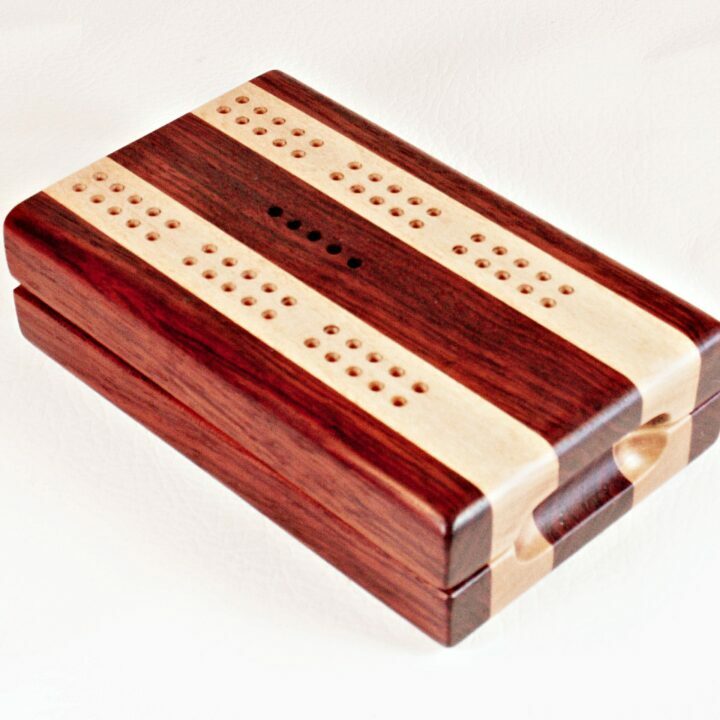 The inside is lined with black pigskin leather. 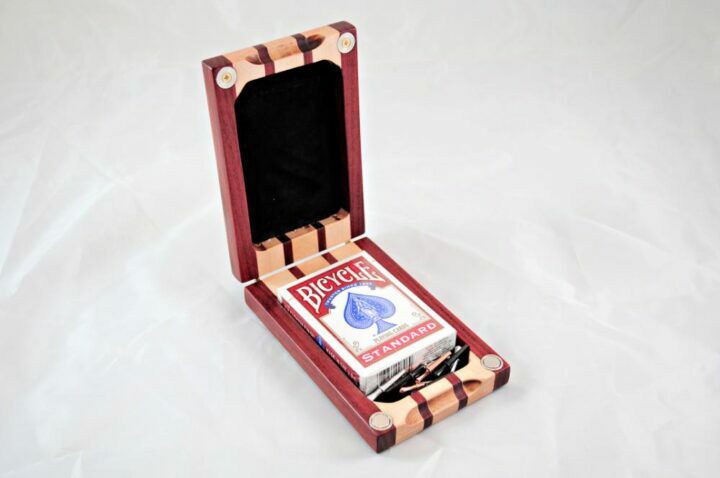 The set comes with the board/box, deck of playing cards, 6 custom metal pegs, and cloth travel bag.